"Sampath Speaking" - the thoughts of an Insurer from Thiruvallikkeni: inventor of herbal fuel - adjudged to be fraud - Chennai Court decrees him guilty !! inventor of herbal fuel - adjudged to be fraud - Chennai Court decrees him guilty !! The Court has pronounced the verdict ~ -besides the man, four others—R. Venudevi, S. Chinnasamy, R. Rajasegaran and S.K. Bharat—were also sentenced to three years rigorous imprisonment by the additional chief metropolitan magistrate. The magistrate directed them to pay a fine of Rs.30,000 (Rs. 6,000 each) in the cheating case, which was investigated by the Central Bureau of Investigation (CBI). Can you identify who the man is ? – was he only a cheat ! 0r innocent inventor, who could not project himself properly ? – somehow I feel a tinge of sorrow, not sure, how correct !! In the far off Tripura, hundreds took to the streets blocking several roads to protest against the crippling shortage of essential commodities and soaring fuel prices made worse by the current spate of incessant rain. Petrol price hit Rs 300/litre and diesel's Rs 150/L as damage on the lifeline Assam-Tripura national highway left traffic disrupted. The highway has been damaged for a couple of months and the continuous rainfall has stalled repair work and turned vast stretches of the road into slush and mud. Several trucks loaded with essential items, both perishable and non-perishable, are stranded on the highway . The Tripura government has been forced to ration fuel and follow an odd-even system of refilling vehicles to deal with the situation. Miles away, a team of scientists from Harvard University has created a unique " bionic leaf " that uses solar energy to split water molecules into oxygen and hydrogen, and hydrogen-eating bacteria to produce liquid fuels from CO2. Dubbed "bionic leaf 2.0," the new system can convert solar energy to biomass with 10 percent efficiency - a number far higher than the one per cent seen in the fastest growing plants. "This is a true artificial photosynthesis system. Before this, people were using artificial photosynthesis for water-splitting but this is a true A-to-Z system and we've gone well over the efficiency of photosynthesis in nature," said Daniel Nocera, the Patterson Rockwood professor of energy at Harvard University. While the study shows the system can be used to generate usable fuels, its potential doesn't end there. "In principle, we have a platform that can make any downstream carbon-based molecule. So this has the potential to be incredibly versatile," added co-author Pamela Silver, the Elliott T. and Onie H. Adams Professor of Biochemistry and Systems Biology. The film begins ‘in medias res’, with a masked person being brought to the Central Jail in Chennai. When asked by a fellow-inmate for the reasons behind his imprisonment, the masked person replies that he is imprisoned for attempting to do good for the people. The masked person is revealed to be Sivaji - with the story unwinding to a flashback of a software architect returning back to native land thinking of doing good to his land but ends up beaten by the system and corrupt people - that was Rajnikant starrer – ‘Sivaji- the boss’. The man referred to at the top is Ramar Pillai of herbal fuel who has been imprisoned. For a brief period two decades ago, his discovery rattled the scientific community and raised hopes in the common man. The man was soon to fall to disgrace ! – last week, a metropolitan magistrate court in the city sentenced Ramar Pillai -who earned acclaim, before being disgraced, for his so-called claim of creating a herbal alternative to petrol -to three years rigorous imprisonment in a cheating case. It was in August 1996 that Ramar claimed to have invented a bio fuel that was a cheaper and more viable alternative to petrol. The next month, however, IIT-M rejected his claim. 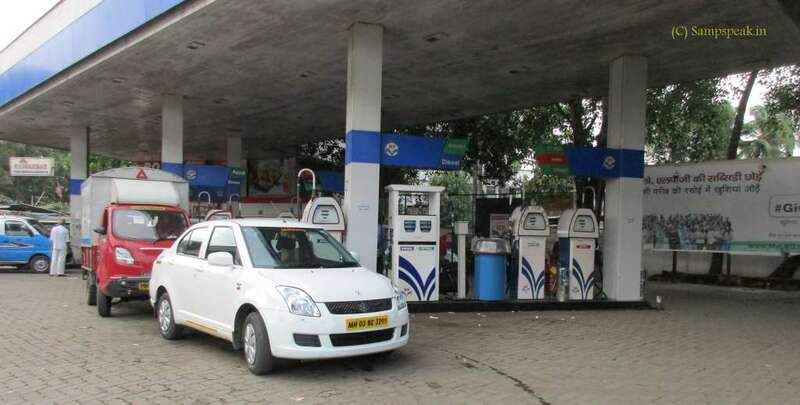 But Pillai, a native of Rajapalayam in Tamil Nadu, and a school dropout went on to open several retail outlets in the city selling `Ramar Bio Fuel' under the aegis of his company -Ramar Biofuel Private Ltd. At a time when petrol was being sold at `35 per litre, Ramar Bio Fuel was priced between Rs.10 and Rs.15. After several complaints, the CBI arrested Pillai in 2000.He made his first public appearance a decade later, at a press conference in the city , with a new name - Ponnupillai Ramar, and a different fuel Velar Bio Hydrocarbon Fuel. This was a departure from his earlier method of manufacturing herbal fuel formula derived from boiling leaves and barks in water mixed with citric acid, salt and chemicals for 30 minutes, following which the fuel floated on the water surface. Pillai has said at the press conference that his new concoction, when mixed with water and heated to 78°C, turned into an inflammable bio-fuel that gave a smokeless blue flame. The mixture was 15gm ammonium chloride, 15gm sawdust and 15gm yeast. It was then fermented, distilled and mixed with water. His claims found no takers, and Pillai receded from public memory while the case dragged on. On Wednesday , the additional chief metropolitan magistrate, Egmore, convicted Pillai and his associates -R Venudevi, S Chinnasamy , R Rajasegaran and S K Bharat -and sentenced them to undergo 3 years rigorous imprisonment for each and also imposed a total fine of `30,000. According to the CBI, between 1999 and 2000, Pillai colluded with other people to “do illegal act mixing of petroleum products like Toluene and Naphtha and to market the same in the name of Ramar Petrol, or Ramar Tamildevi Mooligai Eriporul, as if these were extracted from herbs.“ The liquid did not meet ISI standards, and its use was prohibited under the Motor Spirit Speed Diesel (Regulation of Supply and Distribution and Prevention of Malpractices) Order, 1988, said the CBI. By misrepresenting the facts and misseling, Ramar Pillai and his associates earned Rs 2.27 crore by cheating the public,“ said the CBI.